In 2013, I became someone’s mommy. I also started a blog. In celebration of both, I have rounded-up of some of my favorite “firsts” and small moments that have made my life feel big from the blog. When Dylan and I made our first Instagram video. Dylan’s name means “son of the sea,” which he lived up to on our first trip to the beach. 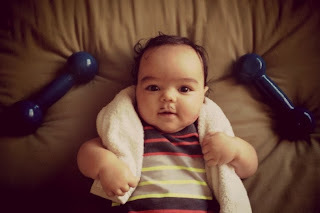 My little show-off stood up for the first time in front of me…while I was recording!!! That time I spied on Dylan through his doorway only to catch him kissing himself. Dylan bumped by head and then tried to comfort me. He also met my grandparents. 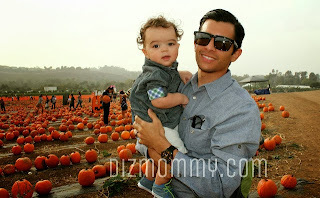 Don't mind our first public breakdown, just ogle at our trip to the pumpkin patch! 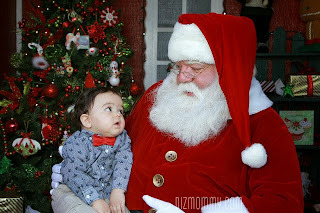 Visiting Santa and getting this picture was special. 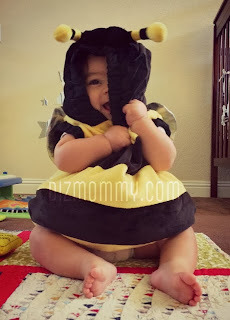 That time my husband let me sleep in and dressed Dizbaby up as a bubble bee was also pretty awesome. 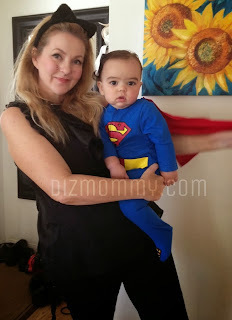 But I think my favorite bloggy moment was assigning Dylan his very first job.